While vast advancements in technology and industry have made life much easier, these innovations have also created an ever-growing monster – pollution. With the possible exception of underdeveloped and far-flung areas, almost the entire world is faced with a “dirty” problem. With approximately 3 million people of its residents affected by the pollution problem, the city of Linfen in China is perhaps the most polluted city in the world. Linfen can be found in the Shanxi province, which is considered to be at the center of the country’s coal belt. 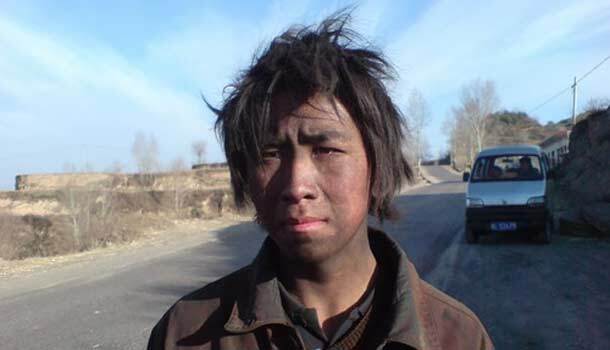 The hills surrounding the Chinese city are peppered with tons of coal mines, legal as well as illegal. One simply can’t sniff the air without smelling the odor of burning coal. Furthermore, the pollution is so great that if you hang your laundry, you’ll find that your clothes turn black even before they dry. Linfen has been declared by the country’s State Environmental Protection Agency as having the worst air in China. Right below Linfen on the most polluted cities in the world list is another Chinese city – Tianying. 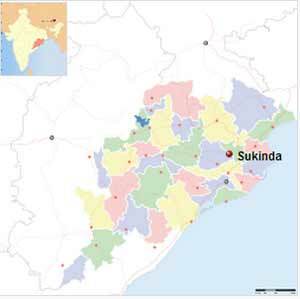 The major culprit behind the pollution problem in this town is lead, along with a number of other heavy metals. Situated in the northeastern region of the country, Tianying is a highly industrialized city that, unfortunately, has poor policies and uses nomadic technology. Its previously fertile soils are now steeped in lead, and its inhabitants are now at great risk for developing lead-associated health problems. These illnesses can be anything from irritability to dullness, to hallucinations, and even to memory loss. Too bad the only people who seem to pay attention to the problem are the ones who are already suffering from it. Sukinda’s excessive mining and processing of chrome and a few other heavy metals have landed it on this list of the most polluted cities in the world. As much as 97 percent of India’s chromium supply comes from this city, leading to a 30-million-ton pile of mining waste that literally form mountains. Hexavalent chromium, which is a known and potent cancer-causing substance, can be found plentiful in nearby waters. 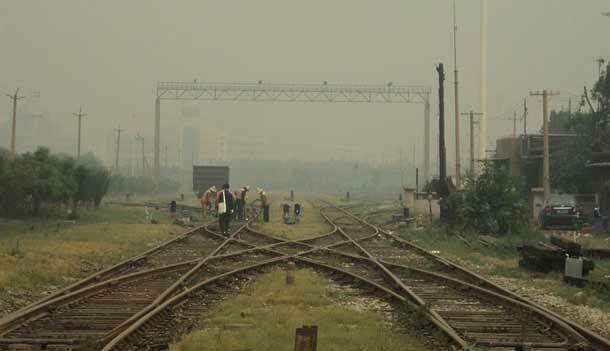 It is believed that exposure to the air, soil, and waters near the city’s mines have caused different types of cancer to an estimated 2.6 million people. If that’s not enough to get the world’s attention and spark some alarm, nothing is. As home to a huge portion of the nation’s industries, Vapi is a city whose waters and lands are highly contaminated with harmful chemicals and metals. Its groundwater reportedly contains mercury, the level of which is 96 times higher than what’s considered safe by the World Health Organization. Repeated exposure to mercury over a long period of time can lead to scores of medical conditions such as muscle weakness, impaired peripheral vision, and other neurological deficits, to cite a few examples. The waters aren’t the only unsafe things, either. The local produce and air also contain heavy metals. Clearly, industrialization has cost the residents of Vapi too dearly. Probably everyone knows that lead isn’t good for a person, especially one who is so young. Well, this knowledge doesn’t change the fact that 99 out of 100 children in La Oroya have lead levels that are above the accepted measurement. 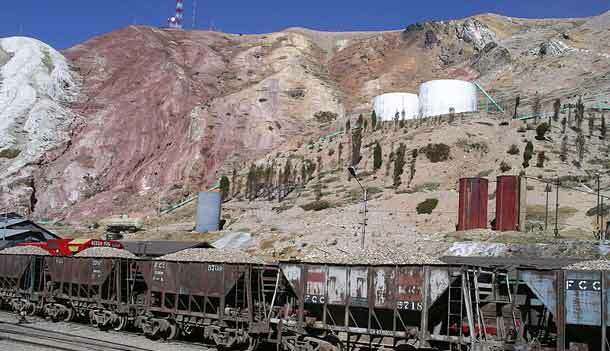 A mining city situation in the Peruvian Andes, La Oroya is host to numerous processing plants and heavy metal mines. On the whole, residents of the city have an average lead level that’s 3 times higher than the WHO-established limit. Even if all mining and processing operations were to stop this minute, the soil’s lead content will remain as is for centuries to come. What’s even worse is that there’s not even a plan at the moment to clean all the waste up. If you plan to live to a ripe old age, you probably shouldn’t take up residence in Dzerzhinsk, as the average life expectancy in this Russian city is quite low. Men usually die at the age of 42, while women don’t live much longer than 47. There might be plenty of reasons behind this, but the general agreement is that the highly toxic pollutants found in the city might have something to do with people dying too early. In the years between 1930 and 1998, over 300,000 tons of chemical wastes were dumped on Dzerzhinsk. When it comes to chemical contamination, this Russian city holds a Guinness Record for being the most polluted city in the world. You probably thought that the Hiroshima and Nagasaki nuclear bombings led to the worst radiation fallout known to mankind. If so, then you haven’t heard how Chernobyl managed to top that fallout at least a hundred times more. The meltdown of the nuclear plant has led to the city being considered as uninhabitable, particularly the 19-mile exclusion zone that surrounds the plant. Over 4,000 Ukrainian, Belarusian, and Russian kids in the fallout area have been diagnosed with thyroid cancer. Thankfully, measures are being taken to prevent additional radiation spills from the ruins of the plant. Can you guess how much zinc, arsenic, lead, cadmium, selenium, nickel, and copper is released yearly into the air of Norilsk? Well, there’s no exact amount, but it’s estimated to be over 4 million tons! This Russian city is where the biggest heavy metal smelting complex in the world is located, and you can probably guess that this is behind the ridiculously high number of city dwellers who die from respiratory illnesses. If you need further proof that Norilsk is a massive wasteland, you only need to look at the 30-mile area around the nickel smelter. You won’t find even just one living tree. The industrial wasteland that is Sumgayit is another victim of the Soviet Union’s neglect and disregard for Mother Earth. Though a lot of the factories are not operating anymore, the pollutants they emitted before they were shut down are still present in the air up to this day. On top of it all, no one is willing to take responsibility for the 120,000 tons of toxic emissions that continue to plague the city. Rounding up the ten most polluted cities in the world is Kabwe in Zambia. Ever since the year 1902, when lead deposits were discovered near the city, little attention has been given to how the dangerous metal might affect the Zambians. Lead levels in kids are high enough to be fatal, or at the very least, result to serious health conditions. Thankfully, a $40 million-project might start cleaning the place up soon. There you have ten of the most polluted cities in the world. Because of the complexity of the pollution problem and the number of factors to be considered, lists can have differences in rankings as well as in the entries themselves. Some sources even include Mexico City (Mexico), Karachi (Pakistan), and Lagos (Nigeria). Nevertheless, the bottom line here is that everything should be done to help these highly polluted cities wake up to the problem and do something to resolve it. The safety and health of present and future generations are at stake.